Quake® Champions Official Website | New Champion, New Mode and Custom Bots Forge Their Way into Quake Champions! New Champion, New Mode and Custom Bots Forge Their Way into Quake Champions! August is here, and with it comes a new update for Quake Champions! If you caught our recent developer livestream, you may have an idea what lies in store for this update. That’s right - a new Champion rises from the fire to slake his unending desire for carnage! A familiar (and fearsome) face to Quake fans, Death Knight is available to play starting right now with the August Update. Swearing fealty to the Mother of a Thousand Young, Death Knight’s affinity for flame drives his two passive abilities: Forged Skin, which gives him immunity from fire damage; and Charring, which wreathes his Gauntlet in flames, causing fire damage over time on enemies he hits with a melee attack. Death Knight’s active ability is Flame Strike. 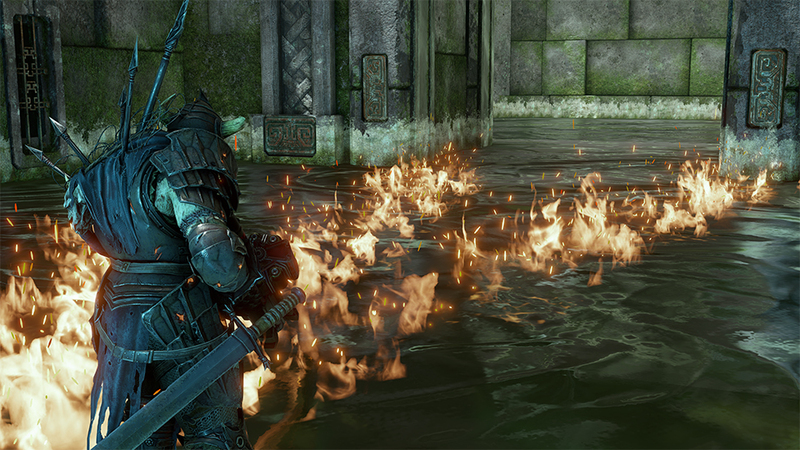 Swinging his weighty sword, Death Knight hurls three fireballs in a spread pattern that incinerates the ground and any enemies in the projectiles’ path. But wait, there’s more! Pressing the ability key a second time will make the two outer fireballs converge and deal more concentrated damage. 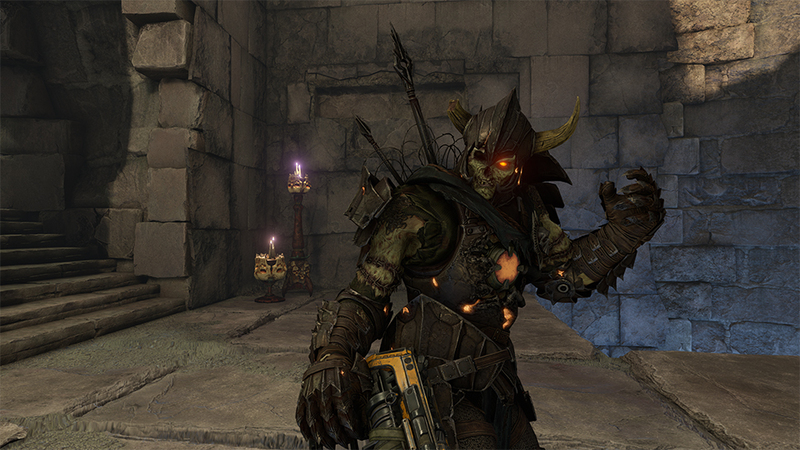 With the August Update, we’re removing Team and Solo Quickplay playlists from Quake Champions. Choose only the modes you want to play! Bots are the ultimate go-to for practicing your moves, and now they’re getting even better! In addition to improved bot behavior and hit detection, we’re also adding new ways to play against these not-so-dumb training dummies. With the August update, players can now add custom difficulty settings for individual bots. Whether you’re balancing matches with variably-skilled AI or just want to see if you can handle them on Nightmare settings, we hope you enjoy this feature and look forward to more custom bot options in the future! 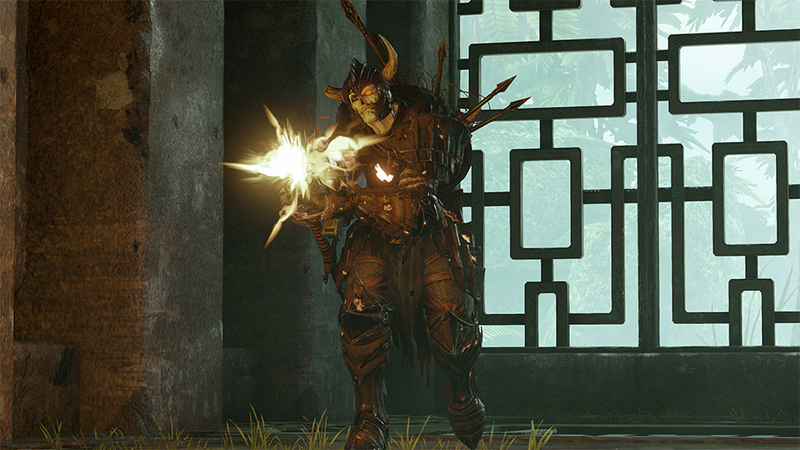 Hot off our recent update removing bots from quickplay matchmaking, we still wanted to ensure players could still enjoy Quake Champions with bots outside of Custom Game modes. That’s why we’re happy to introduce TDM vs. Bots – a new game mode that pits four human players against four AI opponents. Who will emerge on top? The meatbags or the artificial intelligence? Only one way to find out! 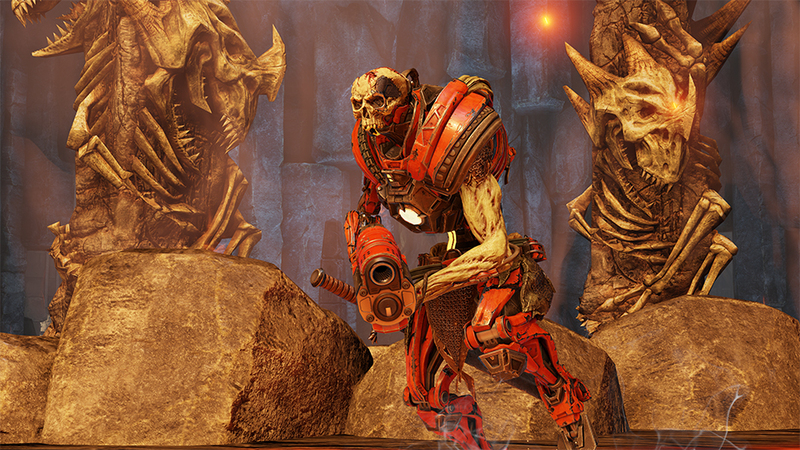 With QuakeCon 2018 just around the corner, there’s no better time than now to join your friends – and foes – in the Arena. Check out the patch notes to learn more about the latest update and enjoy!